There’s absolutely no doubt that competition between chip makers is steadily increasing not only for PC processors but for mobile and other-purpose processors as well. The big five that need to be mentioned are Intel, AMD, nVidia, Qualcomm, and Apple. All these companies have different takes on how to evolve their processors, which will make it interesting to see whose strategy will allow them to rise to the top. Some people call any type of malicious software a “computer virus,” but that isn’t accurate. Viruses, worms, and trojans are different types of malicious software with different behaviors. In particular, they spread themselves in very different ways. Malicious software in general is referred to as “malware.” If you want a catch-all term for bad computer software, malware is the word to use. There are three pieces of software that, in my opinion, make the backbone of a decent security setup on your home PC. These are the anti-virus, the firewall, and the password manager. Of these, the firewall is often the least well remembered despite its importance. The fade of the firewall from public view is due to the fact that Windows itself now has a built-in firewall. With the arrival of the iPad, micro SIMs have become commonplace for anyone wishing to connect to the mobile web from a tablet device. More and more mobile phone handsets are also using these chips which are around half the size of a standard SIM. However, there are a few drawbacks. To begin with, swapping a micro SIM between a tablet and a standard mobile phone isn’t practical. Given that binary is so absolutely fundamental to the existence of computers, it seems odd that we’ve never tackled the topic before – so today I’d thought I’d give a brief overview of what binary actually means and how it’s used in computers. 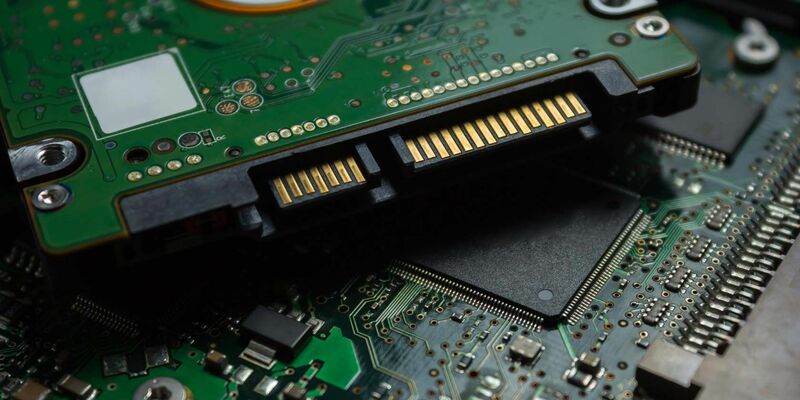 If you’ve always wondered what the difference is between 8-bit, 32-bit, and 64-bit really is, and why it matters – then read on! Back in late 1999, I built my first computer. It used an AMD Athlon processor clocked at 500 MHz which was quick enough to play most games at the time, and also a better value than what Intel offered. I also liked supporting the underdog. During the early years of Athlon, it seemed as if AMD has a legitimate chance against Intel. Yet, as the years moved forward, the momentum disappeared. In its most basic form, the mouse is a rather simple piece of equipment. It has a sensor for determining position, and two or three buttons. Your typical Windows desktop PC doesn’t ship with a mouse more complex than this. Is all of this stuff useful, or just a way to charge you more? Let’s find out. I have previously introduced the Arduino open-source hardware here on MakeUseOf, but you’re going need more than just the actual Arduino to build something out of it and actually get started. Arduino “starter kits” are bundles of common but useful electronic components you can use to make a good number of beginner projects, but what exactly does a starter kit usually consist of? Everything is moving towards the web, which is now more commonly being dubbed “the cloud”. As such, your devices should probably be ready and well equipped to make full use of cloud services for your convenience. However, our big and slow desktops and laptops still have many unnecessary components from our long computing past. At least, that’s what Google seems to say says with their Chromebooks. RAID is an acronym for Redundant Array of Independent Disks, and it’s a core feature of server hardware that ensures data integrity. It’s also just a fancy word for two or more hard disks connected together to add some additional functionality. Why would you want to do this? Read on. What Is Arduino & What Can You Do With It? The Arduino is a remarkable little electronics device, but if you’ve never used one before, just what exactly are they, and what can you do with one? Remember when the word laptop described virtually every mobile computer on the market? The choices were certainly easier back then (because there was simply less choice available), but today there’s a far wider variety including netbooks, ultraportables, thin-and-lights, desktop replacements, and more. Now, a new category is being added, courtesy of Intel. It’s the ultrabook. Recovering deleted data from a hard drive is generally possible because typically the actual data is not deleted. Instead, information about where the data is stored is removed. In this article I will explain how data is stored on a hard drive, what happens when files are deleted, what formatting a hard drive does, and why it is impossible to recover files after they were overwritten. When installing Windows, the installer will ask you a strange question – how do you want to format your hard drive? For Windows systems, there are only a few possible answer choices. You either format it in NTFS or FAT, or you format it in NTFS or FAT (quick). Have you ever stopped to wonder what the difference actually is between a full and quick format? Tablets are becoming a popular mobile device, and their impressive endurance is one of the greatest draws. Most tablets can last eight to ten hours even when displaying mobile video or surfing the web. This is plenty for most users, but there may come a time when you need even more life. These five tips can help you extract every second from your tablet’s battery. Acronyms are not uncommon in the world of computer hardware. Most people know what a CPU is but others are more obscure. One example is TDP, which stands for Thermal Design Power. This specification is rarely made available in marketing material, but it’s important for developing a full understanding of a processor’s potential. A laptop with a short battery life is a nuisance, especially when you’re on the road and nowhere close to a power socket. To make each individual charge of your battery last longer, learn about the 20 Ways To Increase A Laptop’s Battery Life. What is even more annoying than a drained battery however, is a dying battery. The modern computer processor has always been a complex piece of technology, and that shows no signs of changing. Such complexity brings a challenge to companies such as Intel. Making great products is one thing, making them easy to understand is another but Intel certainly has made an effort. Connecting to the Internet was once all about big honking cords. The cords might be telephone lines, or cable lines, or FiOS lines specifically installed for Internet service, but the running theme is a line of wire connecting you to the Internet. Today, that’s not always the case as mobile broadband becomes ubiquitous in major urban centers. Bad pixels often occur on brand new screens. Since a single bad pixel can become a great annoyance once you know it’s there, any new display with a warranty on it should be checked for bad pixels instantly. When you discover one however, you do not necessarily have to take the new display straight back to the shop. You may be able to fix it yourself. Does The Duracell myGrid Really Charge As Well As A Power Cord? Power cords are an increasingly antiquated concept in today’s wireless world, but so far they remain a necessity. No one wants to be forced to tie down their electronics to a rat’s nest of cords – that’s why wireless Internet is so great. One potential solution is Duracell’s myGrid, a wireless charging solution for mobile phones. But does this product really work, or is it not quite ready for prime time?